Unfortunately, the juiciest detail to us in the U.S. is not known. The Register reports that BBC Worldwide will soon offer its content on iTunes, presumably through the iTunes UK store only. The Register’s “TV industry” source says that BBC Worldwide digital media director Simon Danker has contacted the BBC’s third-party production partners to inform them of the new distribution channel. However, The Register provided no additional details. At the same time, Ashley Highfield, the director of BBC Future Media and Technology, indicated on the BBC Internet Blog that the iPlayer may become available via the AppleTV set-top box. 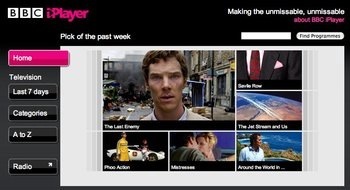 The iPlayer is the BBC’s on-demand television service that allows UK residents to watch programs broadcast in the last seven days online for free. However, Highfield provided no additional details. BBC Worldwide’s motivation — new revenue — is what gives me hope that its programs will soon be available through iTunes and the AppleTV in the U.S. Unless there are rights or technology snags, why not offer programming to the U.S. market? “BBC Worldwide is under pressure from management to increase the profit it funnels back into the BBC proper from selling rights to shows,” The Register writes. 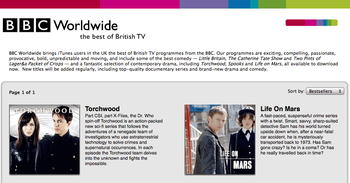 The BBC is also exploring new distribution with branded channels on both YouTube and MySpace. What better way for people in the U.S. to find and sample BBC Worldwide programs, just like they found and sampled programs like “The Office” in the States? Clicking on the TUAW links, alas, only take me to iTunes, which tells me the content is not available in the U.S. store. See also: BBC iPlayer puts rocky start behind, begins building solid user base; and Internet TV: 2007 year in review.